Today’s guest post comes from a friend I met when he was in a high school youth group we led. He and his friends formed this motley crew of fantastic off-beat guys who to this day lovingly remind me of The Outsiders. 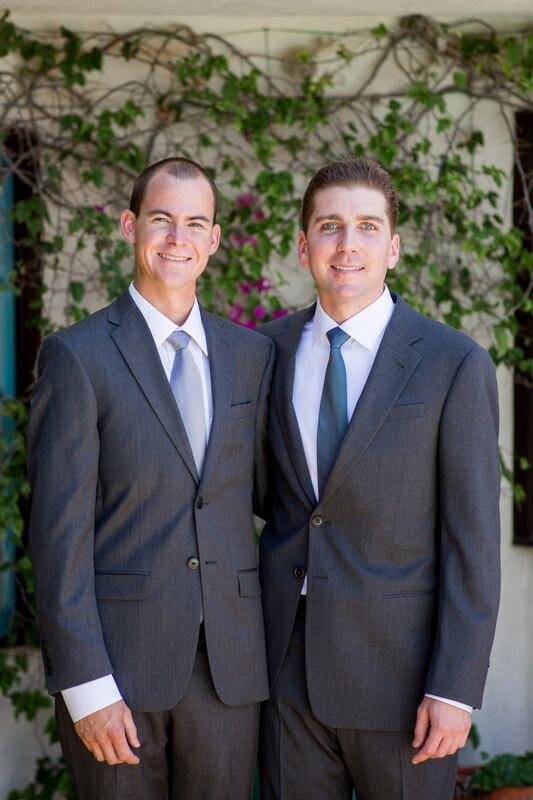 They made me laugh, asked the best questions, and kept me on my toes and–the joys of social media–seeing the men they have become and their continued friendships with one another still makes me smile. I didn’t know Matt as an artist back then; each of his creations jolts my senses with exuberant and joyful color. He seems able to capture his ocean bliss and translate it through paint onto canvas, whether traditional canvas or skate deck or surf board. I always look forward to pictures of Matt’s paintings, and I know you will enjoy them as well. I grew up in Southern California surfing and skating with friends. Briefly I lived in Wyoming to attend Wyoming Tech as a mechanic before returning to North County San Diego. 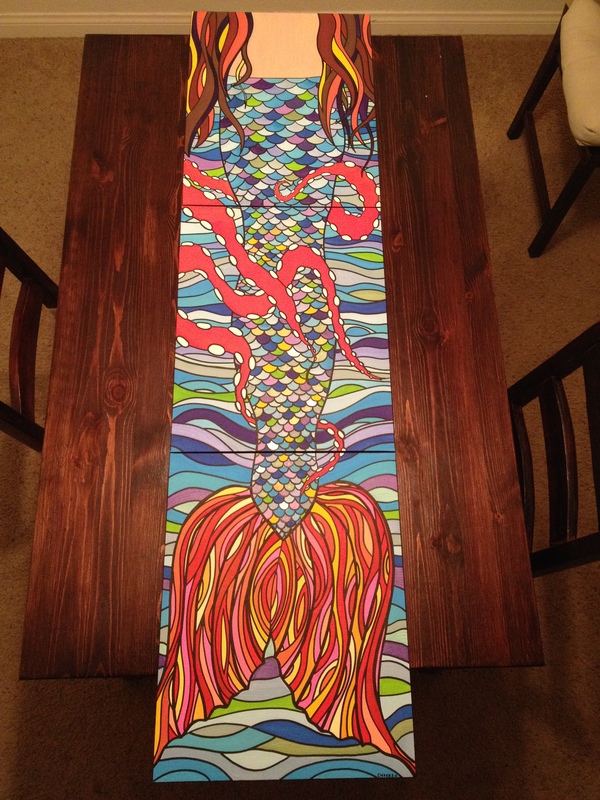 My true passion is painting as meditation inspired by the ocean. 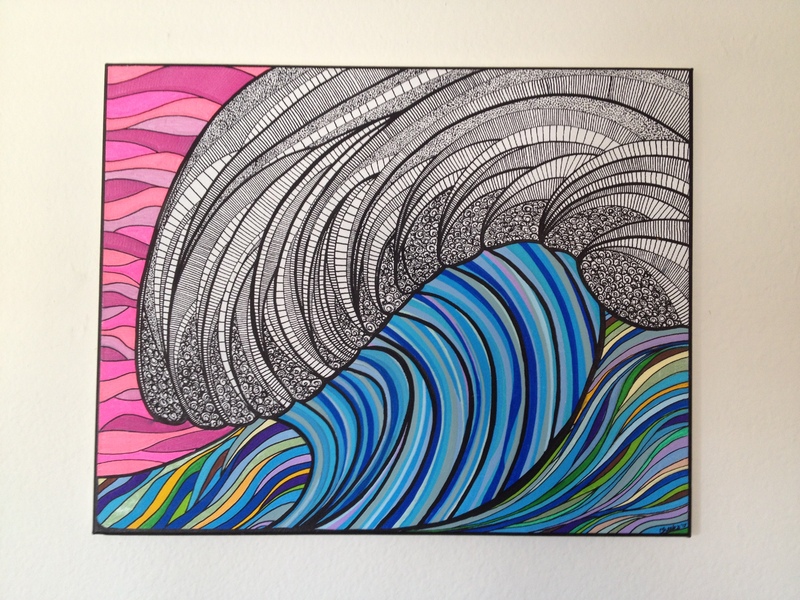 Besides being inspired by the ocean, my trademark is clean lines and psychedelic colors. My interest in art began with the help of my middle school art teacher, Jeremy “Jerm” Wright. After middle school I didn’t take any other art classes. Why? Not sure. Just doodled all the time instead of paying attention. I met Jim Moriarty through a church youth group in Solana Beach. He introduced me to Posca Pens, an acrylic-based paint pen, while on a surf trip down in Erendira, MX. I only use paint pens with each piece I create. Thanks to Jim, I picked up painting once again! Creativity for me is turning off my mind of the negativity and letting my hands do the work. Let my body relax to music, and let everything flow into each painting. Each piece is thought through, but doesn’t always turn out how I think. Everything starts as an idea. That is half the fun, though. Here are some of my works of art. Hope you enjoy! 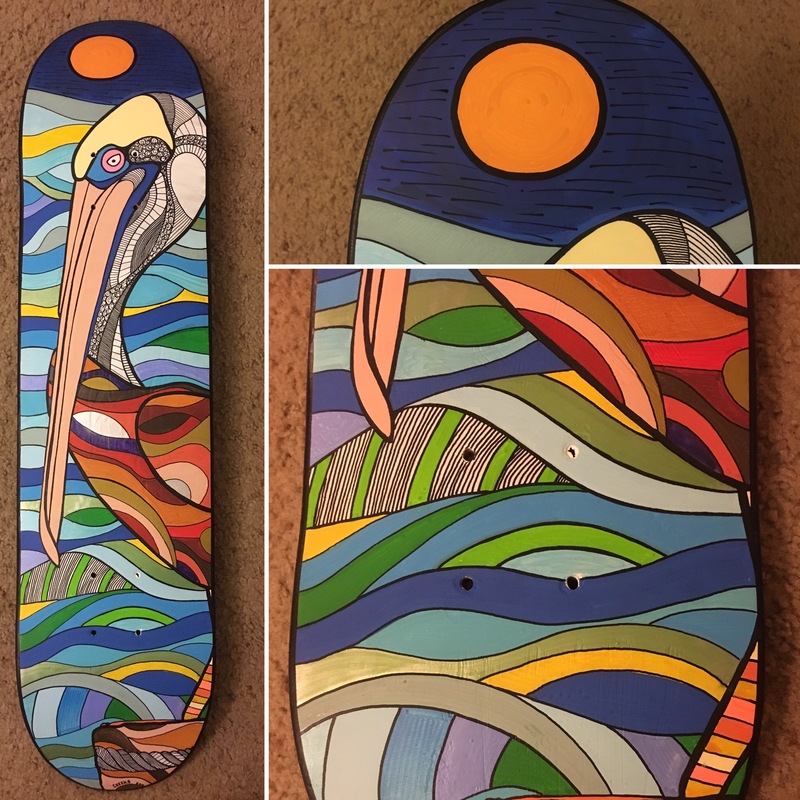 I chose to paint a pelican one day while sitting on the bluffs in Del Mar. I watched them pass by in the air, and I have watched them many times while in the water surf perfectly. They are awesome birds, great fishers and great surfers! To me a pelican is born ready to shred the waves. This one resembles a surfer watching the waves from an outlook. Watching and studying the waves as they crash. This one here is one of my favorites that I have done so far. The tail grabs my attention the most. Looks like a stained glass sunset. One of the details I like to add to each of my paintings is this type of style. Just black lines, dots, and swirls to bring out and show detail. On this one I decided I wanted no color, and only line work. Aliens and ocean? 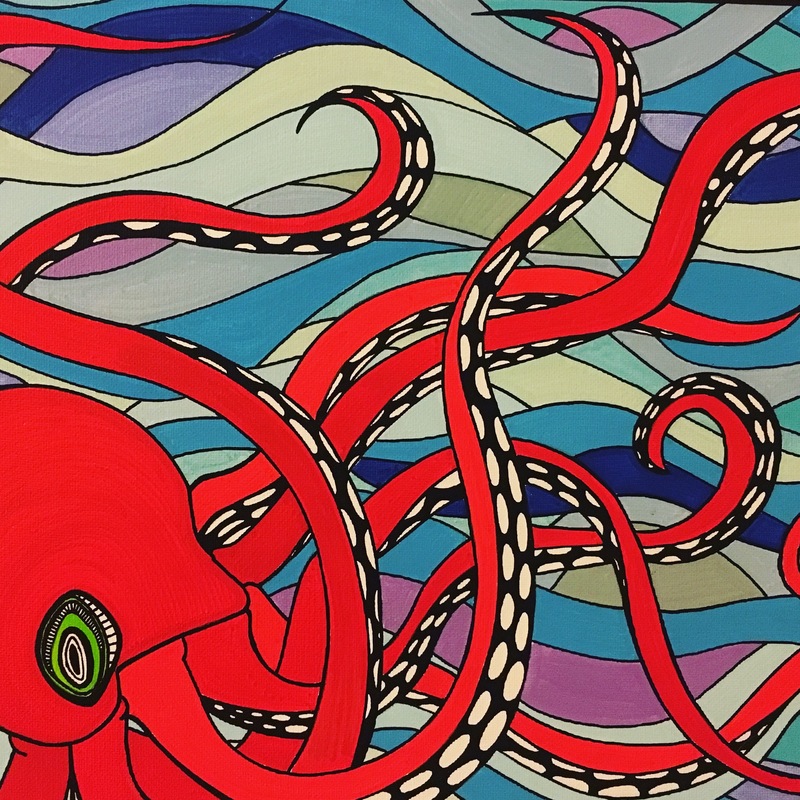 Why not paint an octopus which relates on those terms? These amazing creatures stride through the water with grace. This wave was one of the first I did with this style. Many colors with many black lines, swirls, and dots. I work as an Aviation Technician in El Cajon, CA. When I am not painting or working, I enjoy being outside in nature, hanging out with my dog Roxy, an Am erican Staffordshire-Bull Terrier-Boxer with tons of energy. She brings me joy every day. Waking up and seeing her in the morning reminds me to stay sober. It has been 3 years and 4 months, and every day is a new beginning. A new day. I enjoy listening to music which soothes my mind, anything from Classical to Jazz, from Blues to Classic Rock, from Reggae to Punk. At the moment I don’t have a website, but you can email me: daydreampainter@gmail.com. 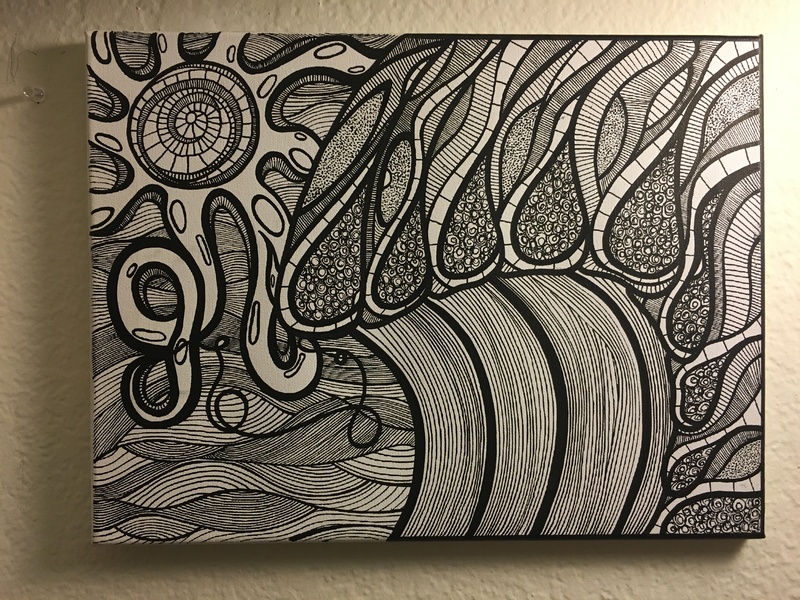 This entry was posted in create, Uncategorized and tagged art, art class, beach, create, creative, creativity, Daydream Painter, Jim Moriarty, Matt Hoag, ocean, paint, painting, Posca pens, surfing by Milagro Mama. Bookmark the permalink. A beautiful write up, Matt. I like your work, your style, and you! This is awesome. So stoked for Matt. These are great pieces. Nice work Matt. Your creativity, thoughtfulness, and humble sense of self are inspiring for us all. 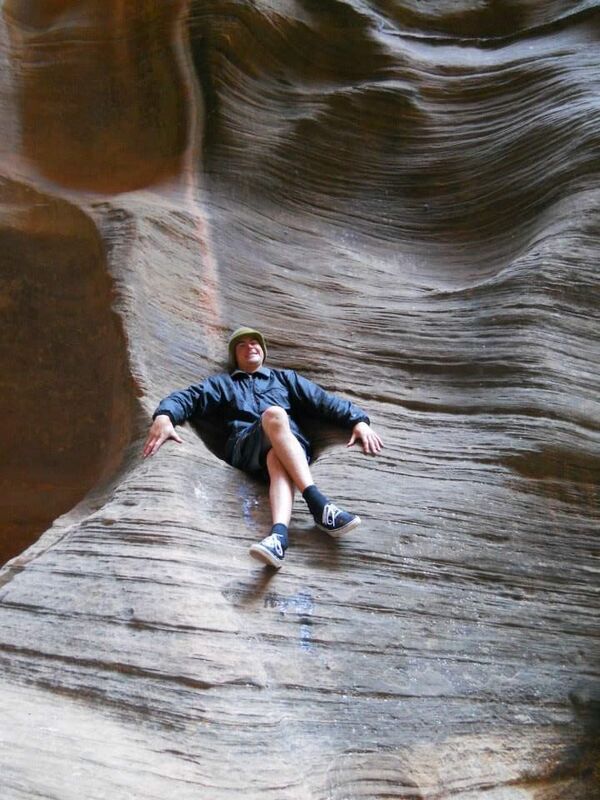 You were always a rock in our group of friends and are now a role model for many. I couldn’t be more proud of you, your sobriety, and the man you have become. Keep up the good work buddy. Cheeks!! Amazing work. Love work you are creating. Congrats on sobriety too.